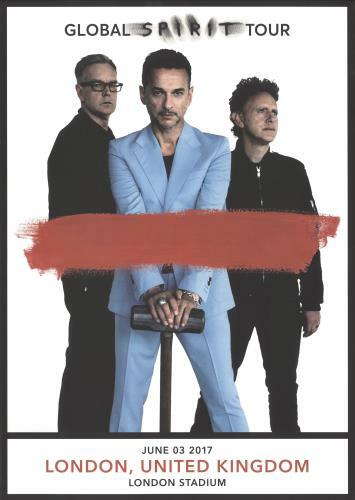 DEPECHE MODE Global Spirit Tour (Superb 2017 UK 16�" X 23�" poster for their show at the London Stadium on 3rd June 2017. Features a colour image of the band with a red paint daub across the centre, plus the venue information. Printed on high quality textured paper - ideal for framing). Catalogue No: 16�" X 23�"
or visit our Depeche Mode image gallery.